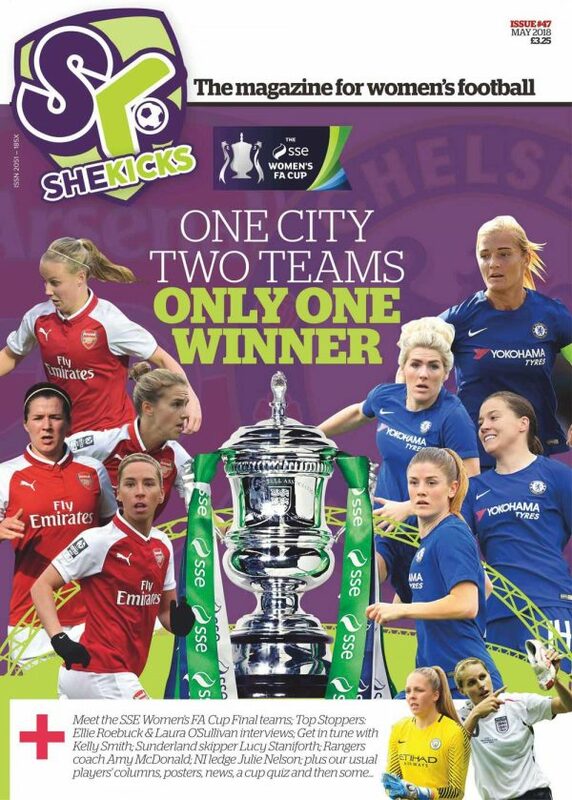 SK 47 is our 52 page Women’s FA Cup Final issue, where we meet the teams (it’s two members of the team that does the introducing!) that will grace the hallowed turf on Saturday, 5th May. Also featured are two top stoppers: Manchester City’s Ellie Roebuck & Wales’ Laura O’Sullivan. There’s posters of Fran Kirby, the England and Scotland teams and snaps from the FA Girls’ Youth Cup Final and more. ….and there’s a cup winners quiz too.